This Massachusetts white-tailed deer proves that unicorns really do exist—but he probably wasn’t born like this. This “cervicorn” once belonged to the author of this article, and is now in the Ripley’s oddity collection! Male deer of most species typically shed their antlers every year, then grow a new set. Hunters often seek the biggest, most impressive rack. This time, the hunter got a weird one instead. Antler development is a complicated field of study, so it’s hard to know for sure what causes an anomaly like this. Natural light, testosterone, diet, and age affect how big the antlers grow. However, sometimes mutations, injuries, and testosterone disorders can disrupt their normal growth process. A 2013 study published in the journal The Wildlife Society found that many white-tailed deer have abnormal antlers because of injuries. A 1965 study published in the Journal of Experimental Zoology found that several types of trauma can cause a deer to have atypical antlers, including if the bud of the antler is injured before the antler grows. Even leg injuries can result in antlers on the opposite side growing wrong! So, what happened to the cervicorn? Gabriel Karns, a Wildlife ecologist at Ohio State University, who has studied deer injuries, says the unicorn’s head was probably hurt somehow. “Car collision is as good a guess as any,” he explained. 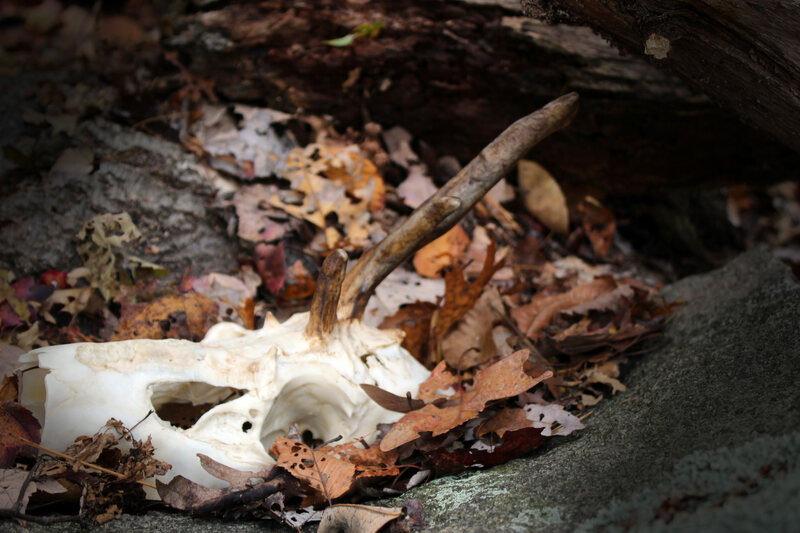 The pedicle, or part where the antler meets the skull, was warped, and Karns says that each time the deer shed its antler, the antler got worse. 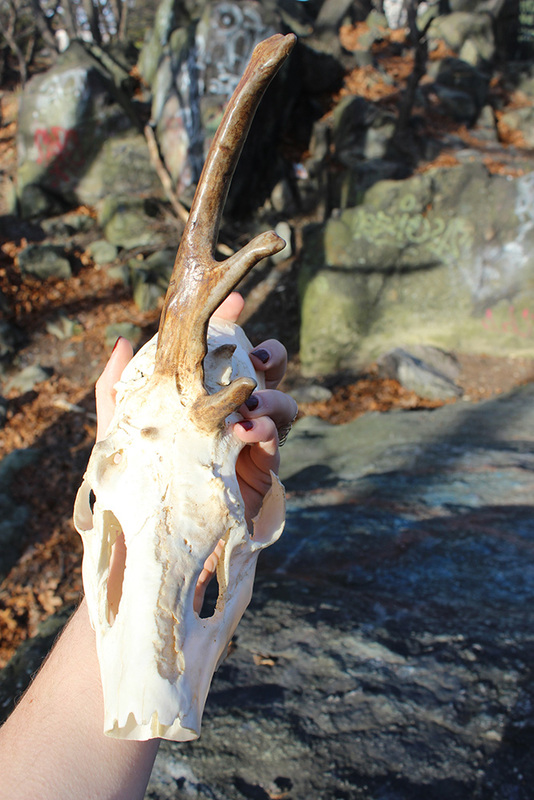 “The antler configuration likely went from normal to odd to completely strange as well,” he said. 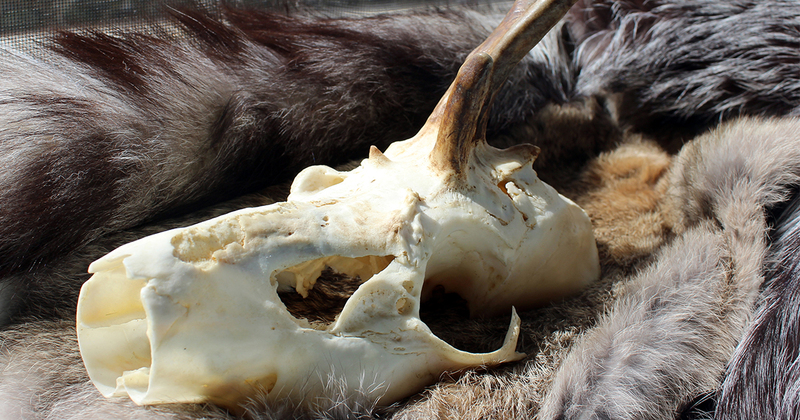 Ever resilient, the deer survived with one, central antler, a damaged left eye, and a cracked and uneven skull. He even found a friend, and traveled through the woods with another strange buck. The other deer had such a big set of antlers, there were 18 scorable “tines,” or points, on his head! The unicorn’s luck ran out when he met Robert Galloway, hunting in Ipswich Massachusetts in 2000. Galloway shot both deer and took them home for meat. He put the antlers of the 18-pointer on his wall, and took the “cervicorn” to a taxidermist. The taxidermist took the hide and skull and cut the bones to make the “mount” for the hunter’s wall. However, the taxidermist found that the cervicorn was too difficult to taxidermize, so they cleaned and prepared the sliced skull as you see here. Believe it or Not, with the right conditions, some animals can be unicorns!